A modern soft curved wall mounted thermostatic bath shower mixer with slider rail kit, combining both style and ease of control. Supplied with shower flex and handset. 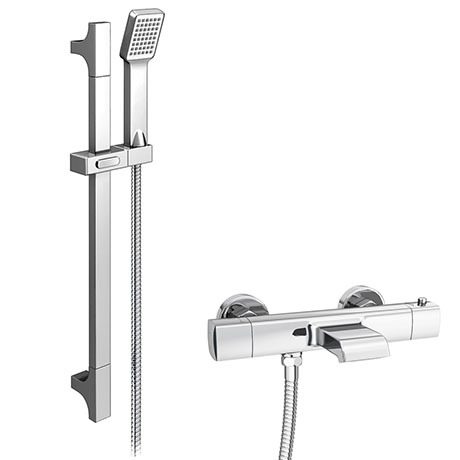 The Montreal bath shower mixer tap comes with built in diverter to control function between tap and shower. For best performance we recommend a minimum operating pressure of 1 bar for best performance. For total flexibility, complete the look of your bathroom with a Modern shower kit. Please note - Certain parts are chrome plated plastic, not metal. The only parts that are not plastic are the shower valve, rail and the hose.